With service optimization you can do “more with less”. By enabling a highly automated process for understanding customer behavior, demand forecasting and replenishment, as well as setting of optimal inventory buffers, you will achieve guaranteed availability at lowest possible cost. 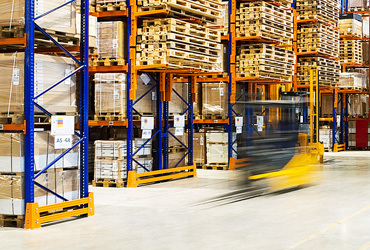 Have you wondered why there are always products out-of-stock while there are too high inventories for other items, despite your targets for service level and availability? Are you sure that you are aiming for the right service level, considering the required inventory investment? Service optimization provides answers to these questions. With service optimization you can do “more with less”. You can enable a highly automated process for continuously understand your customer buying behavior and its consequences on how much inventory you need to have throughout your supply chain. This means that you will be able to guarantee availability of all your products in your product portfolio at the lowest possible cost. Service optimization guarantees a certain service level for each product in your product range, independent of how volatile the demand or leadtime to supply are. This ability distinguishes service optimization from traditional inventory management approaches based on ABC-classification as well as thought of forecasting methods. The key difference is the way it automatically can transform all existing details about your customer into understandable and executable logic on how to set inventory levels and how to replenish. It does not assign an average availability across a range of products, but treats each product independently. There are four steps in the service optimization process: 1) demand planning, 2) inventory optimization, 3) replenishment, and 4) collaboration. Service optimization starts with demand planning. Creating a statistical forecast is all about understanding how your customers and products behave. Avoiding any aggregation of data, not to lose visibility, we take in historical sales information on customer order-line level to understand the exact amount of orders, frequency of orders, and size of each order. This, also referred to as demand sensing, gives us a true indication of the actual volatility of your customers buying behavior. Combined with other types of information, for example promotions and product launches, we get a good view of not only future demand, but also what activities should be done to drive additional sales, also referred to as trade promotion forecasting. But isn’t this complex and time consuming? No, on the contrary, we will significantly reduce the time you spend on this today due to the highly skilled logic that Service Optimization is based on. For instance the approach only needs one self-adaptive statistical forecasting model, which has proven to be superior in terms of accuracy as well as automation. Unlike traditional demand planning, we do not only focus on historical forecast accuracy, but also the inherited demand variability. This piece of information is crucial when moving on to the next step, inventory optimization. Inventory optimization matters as the ability to offer high customer service becomes more important. 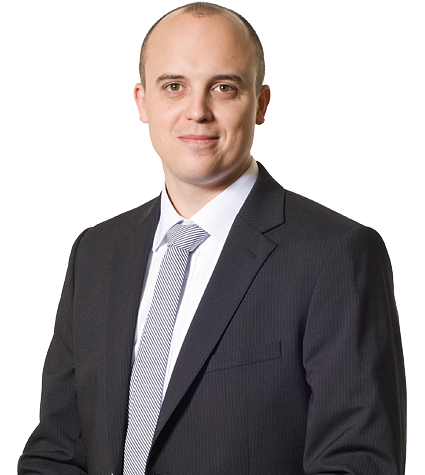 Unfortunately, it has also become more challenging as the product range grows, competition and market volatility increase. Having the right inventory buffers in throughout your supply chain is crucial, without tying too much capital in inventory. We believe that classical inventory management based on ABC classes is no longer sufficient and will guide you to the wrong mix of products in stock, and bad performance from a cost and availability perspective. 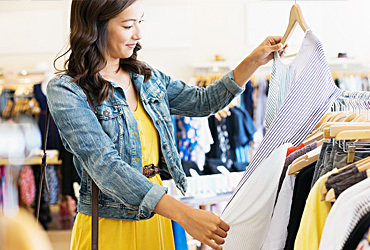 Service optimization use inventory modeling techniques developed to correct the limitation of traditional inventory optimization. 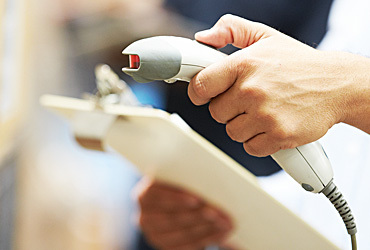 The techniques can accurately describe the expected inventory behavior of each SKU/location, even for slow moving items. Service optimization is based on the probability distributions which can present a wide variety of dispersion and skewness patterns, and considers all relevant parameters. The result of this fully automated process is the stock-to-service (STS) curve. It gives a precise relationship between the desired service level (order line fill-rate) and the average stock on hand required, while providing the necessary control levels (safety stock, reorder level, order-up-to, etc.). The forecasting approach in service optimization is based on a demand modeling technology that exploits historical information regarding not only quantities, but also order line frequency and order line size. In this way we can describe a wide variety of stochastic demand behaviors, from fast moving to intermittent demand patterns, with a self-adaptive probability distribution model. This is essential to provide reliable information to the inventory modeling step. Automatically determines the optimal target service level which must be assigned to each SKU/location to achieve the service level defined by management as an aggregate global business objective, while optimizing an objective function. This stock optimization process can also consider various constraints that can be defined both at an aggregate level and/or by individual SKU/location. Optimizing the “vertical” allocation of inventory across the various echelons of the supply chain which can be distribution network tiers, often referred to as staging or risk pooling, or bill of material levels, often referred to as postponement. In contrast to similar approaches, service optimization translates “imperfect” service levels in the upstream echelon into stochastic delays to the downstream echelon. Deterministic values are not good enough. Understanding customer behavior and setting of the correct safety stock levels are important. However, gaining full effect requires that you also optimize replenishment across your network, from suppliers to your end customer, considering variables such as production lot sizes, transportation batch sizes, and delivery times. While standard ERP systems cover many of these functionalities, they tend to ignore the volatility and complexity of this environment. Variations in lead times, temporary limitations in transportation capacity and available supply need more sophisticated optimization. We refer to this as replenishment optimization. A main premise with service optimization is to provide a high degree of automation in the above process steps. However, in certain cases external input to the process can add value. This is particularly true for gathering market intelligence in promotion intensive industries. Collaboration between partners could also be needed to align the supply chain, for example with your suppliers. A particular case where this is valuable is when you are managing inventory on behalf of your customers, or when your suppliers are managing your inventory, also referred to as vendor managed inventory (VMI). Watch our video “Service Optimization with Optilon”. Service Optimization is our concept for inventory control and product range for all various types of industries. Our offer is wide and includes everything that you as a company need to be able to deliver your customers the best possible service. 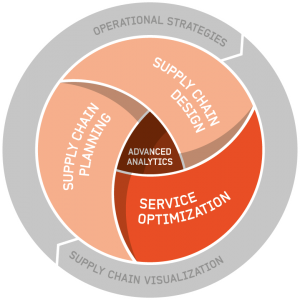 Optilon uses service optimization, a more recent adaption of traditional inventory optimization. Read more. With our solutions, you can automatically analyze past demand history to get complete information about a specific item’s demand patterns. Forecasting the impact of campaigns in relation to basic forecasting is one of the most challenging problems in demand-driven planning. The core of demand sensing lies in access to details regarding customer behavior and the use of mathematical algorithms that analyze this. 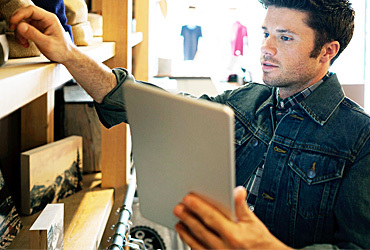 Replenishment optimization combines the results of forecasting and inventory optimization to create replenishment proposals. Do you want to know more about the service optimization?